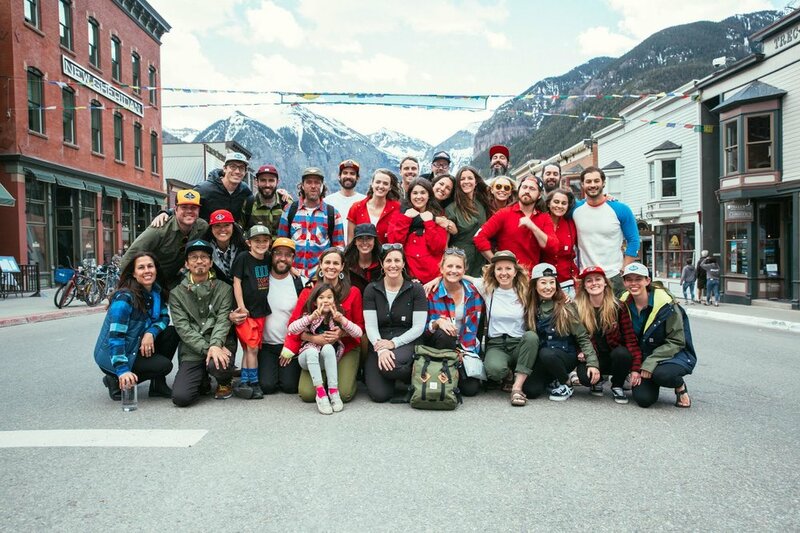 If you've lived in Colorado long enough, there's a very strong chance you spotted someone sporting a Topo Designs backpack or might even own one of your own. 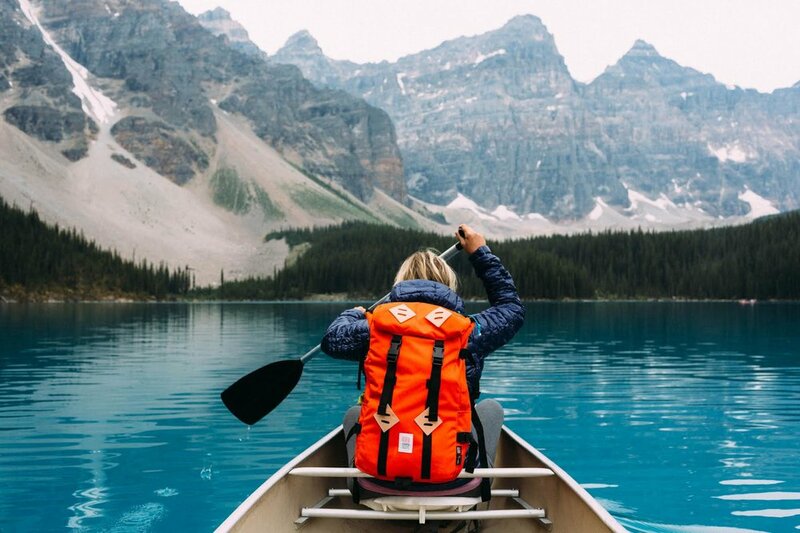 Made here in Colorado, Topo Designs' backpacks, bags, accessories and apparel feature a signature design that is simple and utilitarian yet stylish, all of which look at home adventuring in the mountains just as much as they do cruising the city streets. What does topo designs mean to you? At Topo Designs, we strive for contradiction. We are rooted in mountain culture and outdoor living, but also love exploring cities and traveling the globe. We look to proven classics for inspiration, yet we take advantage of new technologies and innovations to ensure our products have a timeless look with modern functionality. Our products are uncomplicated and utilitarian, but also have an overarching sense of design and style through their simplicity. Our end goal is to not have to choose a single path—we want to live on both sides of the fence, where life is always greener. what was your inspiration for starting topo designs? Growing up in the west, we have always been interested in not only spending time outside, but also in the gear needed to get out. About 10 years ago, we found ourselves wishing there was a company offering a lineup a bit more like the gear we grew up using—classic styling, functionality, durability and a clear connection with the brand behind the product. what's your favorite product that you've created? Right now if I had to pick one, I'm pretty pleased with our Field Bag. It has been my personal project to create a better fly fishing bag and our Field Bag has answered that need for me. I have also had many of my fishing friends and family testing it for a while now and they are all still currently using it, which is great to see - especially from a group that has a low tolerance for anything that doesn't work. We have always liked people who are good at what they do. “Talent” is often reserved for a set of people that perform in public or create great works of art. At Topo Designs, we tend to reserve that term for those magical few that have a gift for creating products that are not only bulletproof, but so skillfully crafted that they end up being hard working utilitarian masterpieces. We search long and hard for the people who possess that level of talent to partner with helping us build our line. Whether we are making classic packs in Colorado or technical shells in Vietnam, our partners are among the most talented people on the earth. Topo Designs has always been about creating products that we want to use in our lives. Today, we’re still in the mode of making things that we want to use as individuals and connecting with our customers as a brand. We want to produce the most durable, versatile, beautiful products that can be used around town, out on the trail and traveling the globe. We know nothing is more frustrating than being let down by your own gear, so that motivates us to make things that last. Simple, classic, well-designed products that are inspired by who we are and where we live. People here love handmade artisans and also love to shop local. It makes what I do that much more enjoyable when I have the support of my community. I also love meeting other makers and movers. It’s nice to know they go through the same highs and lows as you! As boring as it sounds we like the simple stuff - Pack Cloth, Cordura, Supplex, etc. As odd as it sounds, for us, that is kind of what makes everything look a bit different from the more technical brands using the latest fabrics. We are pretty serious hardware nerds, so we love anything new on that front. Our hardware rep can attest there is a lot of cheering and high fives when we meet with her. When looking at collaborations or partners, we don’t have any set strategy for who we want to work with or why. We enjoy partnering with brands that we feel strongly about both in their product and as people. We also try to make sure that we are giving each and every partnership the time and energy it deserves. We do love old school Yeti bikes and would love to work with them to develop a throwback-inspired bike. The new Mountain Duffel - 40L bag in red, with a Mountain Fleece packed inside! Started in 2008 in the Fort Collins basement of one of our founders, Jedd Rose. We opened 3 of our 4 shops in 2015. We have two headquarters, one in Denver that houses the sales, production and warehouse teams and one in Fort Collins where product design and marketing are done. Our end goal is to not have to choose a single path - we want to live on both sides of the fence, where life is always greener.